Feburary 7th, 2015 – 3rd Annual Taste of New Orleans & Palestine Mardi Gras Parade– This free event is a celebration of Louisiana-style cuisine, set against a backdrop of historic buildings decorated for Mardi Gras, showcases the talents of local chefs and highlights the offerings of local wineries. A Taste of New Orleans begins the culinary tour at 11 a.m. and the festivities continue at various locations until the 5 p.m. parade. Local chefs will be doing culinary demonstrations every hour! After checking out the Taste of New Orleans, don’t forget to stay for the Mardi Gras Parade, which starts at 5pm in downtown Palestine—featuring professional floats, beads and fun for the whole family! The event runs all day from 11am-5pm – Palestine Main Street District. For full schedule of events, click here. February 4th, 11th & 18th & 25th, 2015 – Children’s Storytime at the Palestine Public Library, 10:00 a.m. – 11:00 a.m. Join Ms. Jamie for stories, songs, crafts, and fun! The 2013 Group for the Palestine Days in Austin (I’m on the left and about 8 months pregnant! not very camera friendly! haha) via The Palestine Chamber of Commerce. 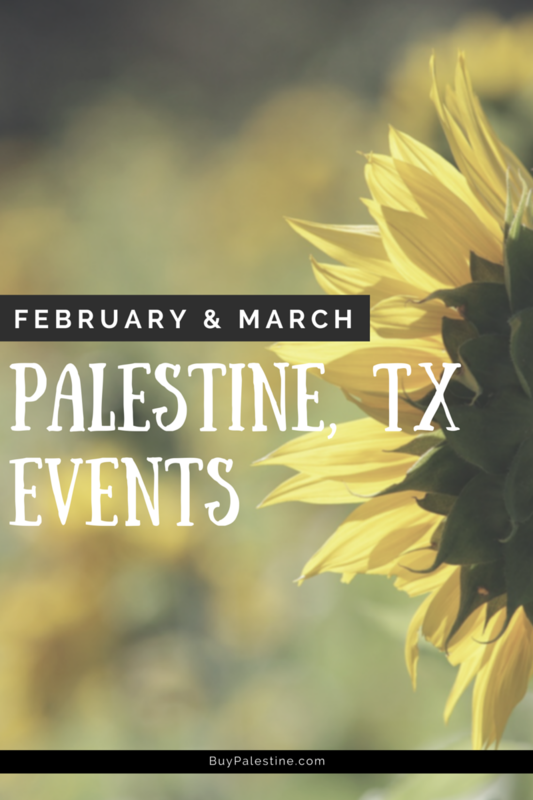 February 25 & 26th – Palestine Days in Austin sponsored by the Palestine Chamber of Commerce. This 2-day event is organized for our community to learn more about our State Government. We welcome everyone to join us in getting to know our State Government and Legislators. We meet with many people such as our State Senator, State Representative, Commissioner of Agriculture, Tourism & Economic Development. March 4th, 11th & 18th & 25th, 2015 – Children’s Storytime at the Palestine Public Library, 10:00 a.m. – 11:00 a.m. Join Ms. Jamie for stories, songs, crafts, and fun! March 19-21 – Wyma & Co. Pop-Up Antique Sale, 9 a.m.–evening, 418 Coronaca. March 20-22, March 27-28 & April 3-5th, 2015 : 77th Annual Dogwood Trails Celebration. 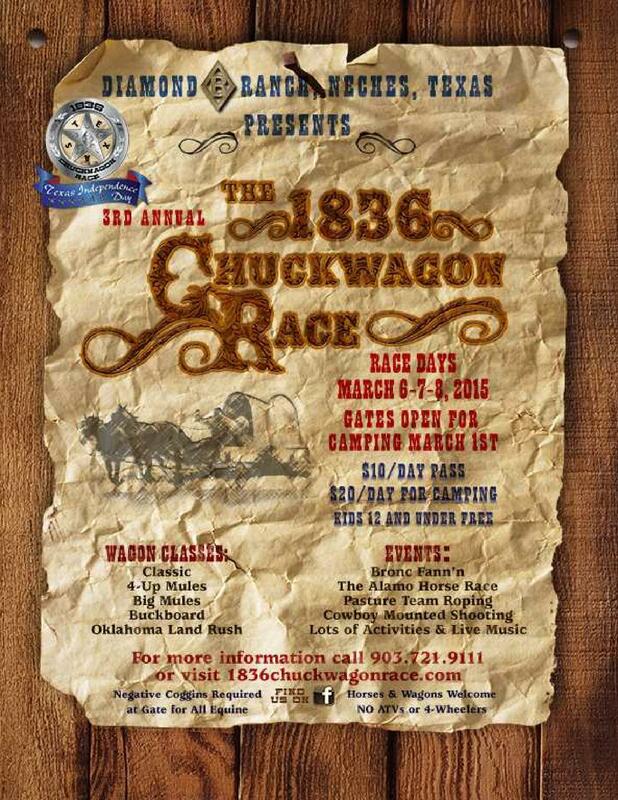 This long-time celebration takes place the last two weekends in March and first weekend in April. Enjoy the delicate beauty of the dogwood trees in Davey Dogwood Park and the surrounding area. Activities are scheduled each weekend to compliment the Celebration, including a festival the first weekend & the 100th Annual Celebration at the Redlands Hotel. Don’t miss the Piney Woods Excursion and Dogwood “Train” Brunch at the Texas State Railroad, Dulcimer Festival, Main Street Farm & Flower Market, live productions at the Texas Theatre & much more. For more information and a full list of events, click here. 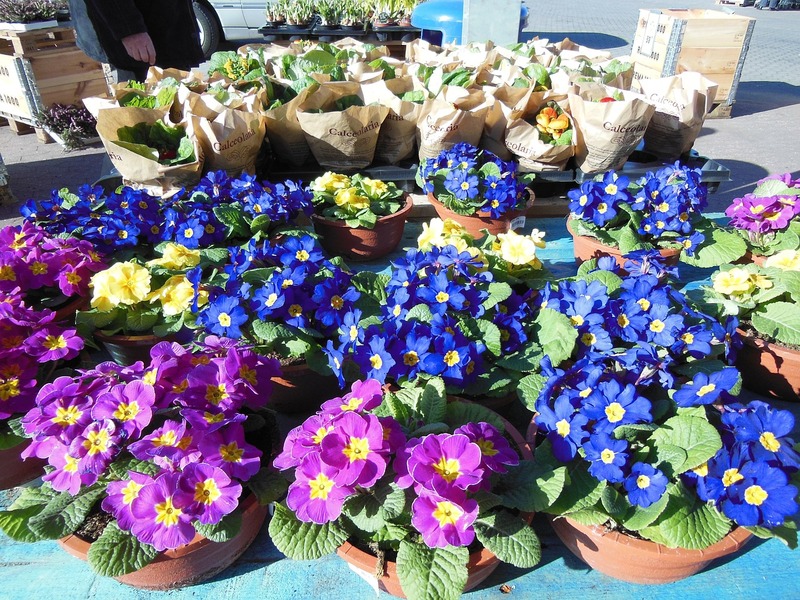 March 28th, 2015—Main Street Farm & Flower Market, 8am to 4pm. Palestine Farmer’s Market. March 28th, 2015—Bunnies on Main Street, 10am to 2pm. Pictures with the Easter Bunny by Lee Loveless Photography Studio – 101 W. Oak, Downtown Palestine. March 28- 2nd Annual Egg-Normous Easter Egg Hunt. 11am-1pm at the Athletic Complex on Armory Road. More than 15,000 stuffed eggs will be hidden for children ages 1-10 to find. The children will be divided into three age groups: 1-3 years, 4-7 years, and 8-10 years. Each age group will hunt eggs in their very own athletic field. Prized golden eggs will be among the hidden eggs in each age group, and the winning notes inside can be exchanged for prizes at the stage in the center field after the hunt. BYOB–(Bring your own Basket!) Other activities scheduled for this event include a rabbit petting farm, bounce houses, concessions, DJ / music, face painting, a visit with the Easter Bunny, and much, MUCH more! Don’t forget to bring your camera! Admission and parking is FREE! For more information, please call 903.731.8435. These are just a few of the fantastic events going on during February and March. March (and first weekend of April) are the 3 weekends for Dogwood Trails Festival, which is my favorite festival of the year. It’s a gorgeous time to get out and enjoy the scenery in Palestine, TX–and of course, a perfect time for a beautiful drive to see the dogwoods in bloom at Davey Dogwood Park. Spring is coming, hoorah! ;)Be sure to verify all events before driving out, as hours and dates of operations may change! I will continue to update these as I receive info on them! Spring is shaping up beautifully in Palestine, TX! Lisa E. Priest is a fan of all things fun in Palestine, TX and local REALTOR® with Picket Fence Realty, Inc. You can reach her via phone or text at 903-948-3343 or email Lisa@rentpalestine.com or at BuyPalestine.com.